AMAZINGLY LOW, ONE FAMILY-OWNER MILES -- What an incredible find! Only 18k actual, original miles, plus a Final Production Model (89-91 model years) Woody. Best of the best! A one family-owned Jeep lovingly maintained and sparingly used at a second-home location since new. An incredible, original survivor that is the right color, the right year, the right condition and absolutely unique with such incredibly, super-low miles. Don't miss this one! A "time capsule" Woody with glossy paint, beautifull, ORIGINAL wood trim and decal. Excellent heritage, strong runing and smooth, cold AC, and gorgeous inside and out. 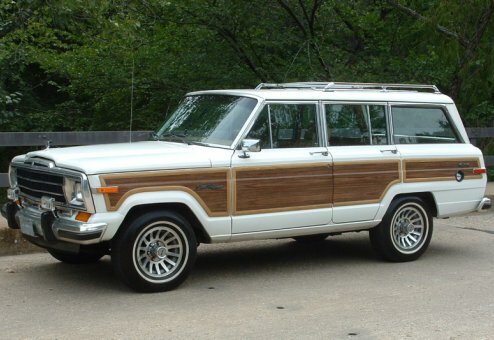 Call for more details -- just listed and scheduled to begin the Wagoneer World process soon. This is our best available Jeep and a top one percent qualifer. This unit is perfect for a collector or as a daily driver/extra weekend car, is smoke-free and stunning.